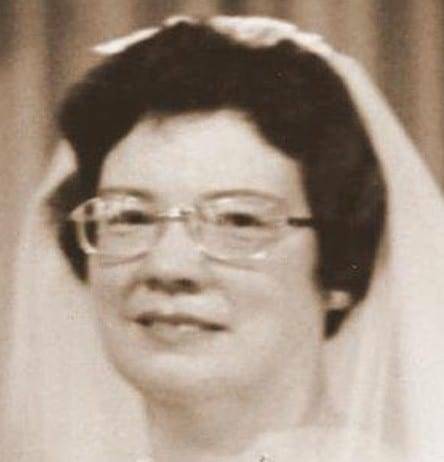 Ellen Elaine Hicks, 88, passed March 21, 2019. Born Jan. 3, 1931, in Bryan, Ohio, she was the only daughter of the late Carmon and Ola (Fraker) Oxenrider. She was preceded in death by her husband, Charles “Harold” Hicks; and a brother, Carmon Junior Oxenrider. She is survived by her sister-in-law, Neta Oxenrider; nephews, James (Linda) Oxenrider and Donald (Kristin) Oxenrider; great-nephew, Michael; great-nieces, Carrie, Amy, Athena and Morgan; great-great-niece, Abby. Graveside service is 1 p.m., Wednesday, April 10, 2019, inside Covington Funeral Home, 8408 Covington Road. She will be laid to rest at Brown Cemetery in Bryan, Ohio. Be the first to comment on "Ellen Hicks (1931-2019)"